For those who crave cupcakes. 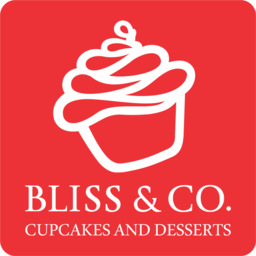 Bliss & Co Cupcakes & Desserts can satisfy any sweet tooth. Made in a nut-free facility, our desserts are accessible to anyone. The perfect treat for throwing events or for a quick pick me up while you shop at the CF Chinook Centre. Delight in the cutest cupcakes with unique flavours like Strawberry Swirl, Black Velvet, and Caramel Bliss.